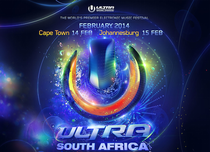 With the inaugural Ultra South Africa only a few months away, festival organisers recently announced Phase 2 of the line up for those flocking to Cape Town and Johannesburg on the 14th and 15th February 2014. With the likes of Tiësto, Alesso and Nicky Romero among those already confirmed to perform, as well as homegrown talent such as Goldfish and Black Coffee, even more international and local stars have now been revealed. 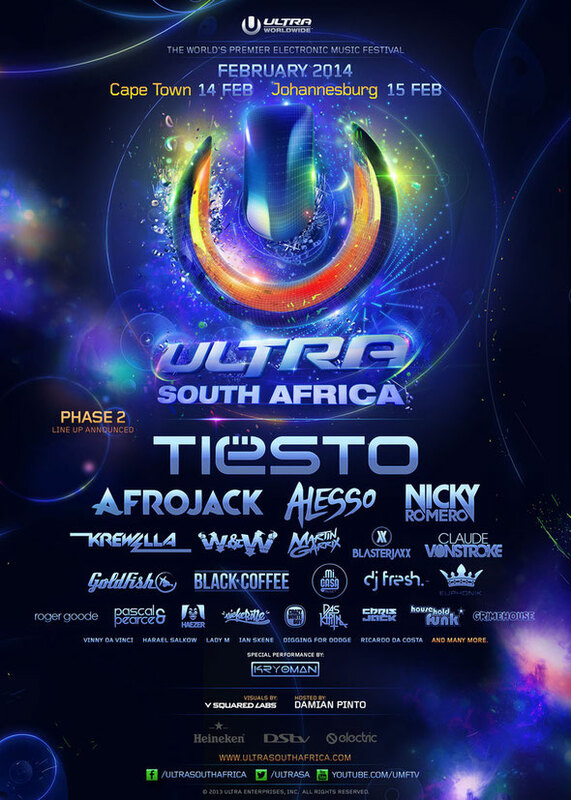 Ultra has handpicked a collection of some of the finest DJs from across the globe to join the billing for the festival’s first South Africa edition. Double Grammy award-winner Afrojack, 17-year-old Martin Garrix who has taken the world by storm in 2013 with his smash hit ‘Animals,’ and Blasterjaxx will all be flying the flag for the Netherlands and infusing Cape Town Ostrich Farm and Nasrec Showgrounds with their Dutch House sound. Dirtybird Records kingpin and San Francisco native Claude Vonstroke will also be taking to the stage. ‘The Voice’ and Kryoman are going to be on hand to keep the energy at full tilt at all times, having become integral parts of the festival through the years with their exploits. The Rainbow Nation is also offering up its own wave of the very hottest South African talent. Roger Goode, Pascal & Pearce, Haezer, Niskerone, Crazy White Boy, Das Kapital, Chris Jack, Household Funk and Grimehouse are just some of the many more artists that will be showing their skills in front of their home crowd.